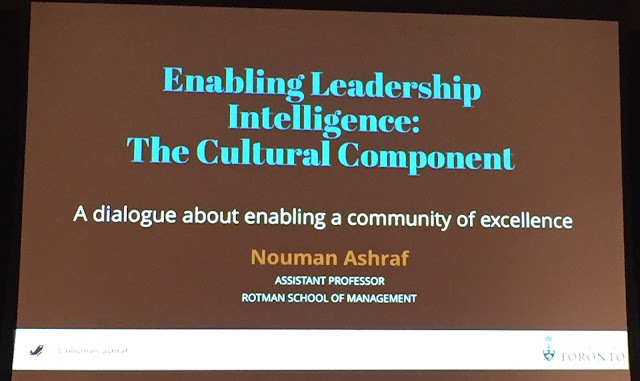 This past week, I had the pleasure of attending a lecture on Cultural Fluency, by University of Toronto's award winning faculty member and Assistant Professor, Nouman Ashraf. Ashraf teaches in a variety of areas within the Rotman School of Management, with a specialized focus on organizational design and leadership strategies in the areas of diversity and inclusion. As such, his lecture focused on the ways in which we as individuals can learn to become more open and accepting to those who are different from us - something that most of us strive to do, but sometimes fall short. Ashraf opened the evening with an exercise that tested our comfort zones. He asked everyone in the audience to draw the person they were sitting beside. As individuals began drawing their partner, who was likely a stranger to them, you heard giggling all around the room. After the exercise was completed, Ashraf pointed out just how uncomfortable everyone was during the little experiment, and explained that he was allowing us to step outside our comfort zones. After all, "there isn't much growth in our comfort zones, because you're not challenging yourself." He then proceeded to ask us what we do when we meet someone who clashes with our personality. Many quickly replied that they avoid that individual. Ashraf suggested otherwise: "Many times, we find ourselves retreating because we don't know how to act around certain people who are different. When someone rubs you the wrong way, or is different from you, you should try and get to know them better." He further explained that, when we resist truly getting to know others, we only further enforce the ideas, or stereotypes, that we have of them in our minds. 1. We need to recognize that we our identities are a construction of numerous ideas, experiences and perspectives. 3. 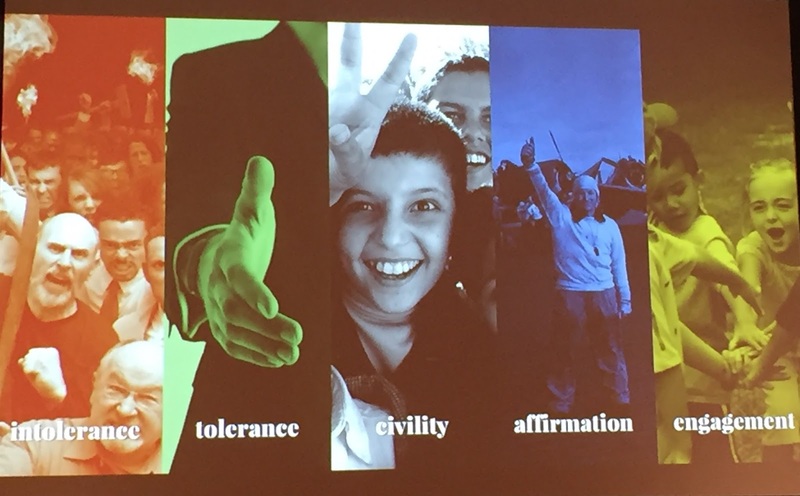 We have the power which of point #1 (the experiences, ideas, and perspectives) create our identities. "Innovation begins when we own our experiences and our narratives, also known as our Ideation...New ideas rarely come from people isolating themselves from others." 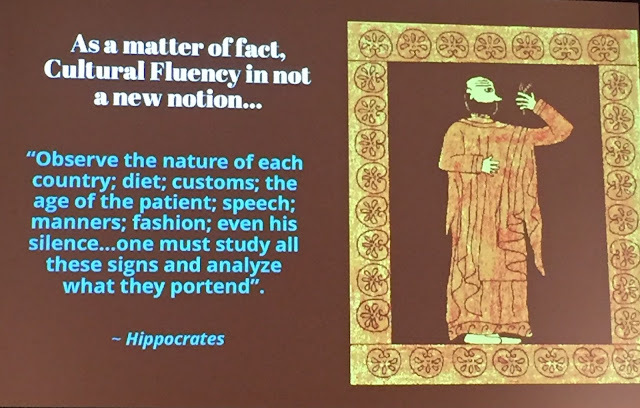 As such, including, or integrating, oneself, is an important aspect of attaining cultural fluency. However, as Ashraf stated, "Inclusion is a choice." If you're curious about something, you need to decide to put yourself out there and learn more about it. ~ it is important to remember that all of our experiences are framed by our previous cultural knowledge. Thus, when trying to be culturally fluent, one must suspend those "cultural frames" to truly be empathetic to another culture. Basically, to truly put yourself in another shoes, you need to remove all the biases and stereotypes you hold of that culture. ~ "One must engage the other person in their fullest sense." Try to understand what the other person truly needs, not, just what is best for you. ~ What is under the reality of exclusion? The need to be understood. Ashraf's lecture sheds light on a topic which is especially important in today's global communities, where we are all called to work and live equally. It's important to remember to respect and celebrate each others differences and be open to learning some new perspectives!